San Jose. Love among the ruins. So very, very beautiful. Love the setting, too. Beautiful shot of the bouganvillea! 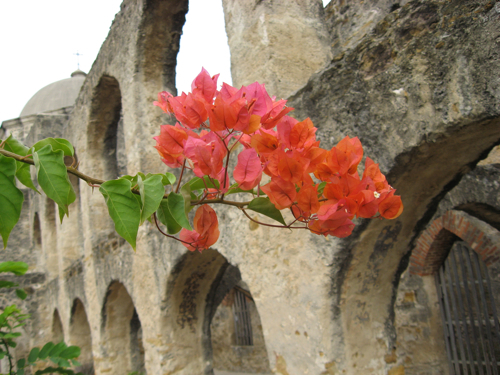 The contrast of the flowering Bougainvilla in front of the old building is very nicely captured. A beautifully composed photo and a lovely Bougainvilla. Thank you for sharing and have a great week.